It has been a while since I posted, but I have been drawing almost every day. 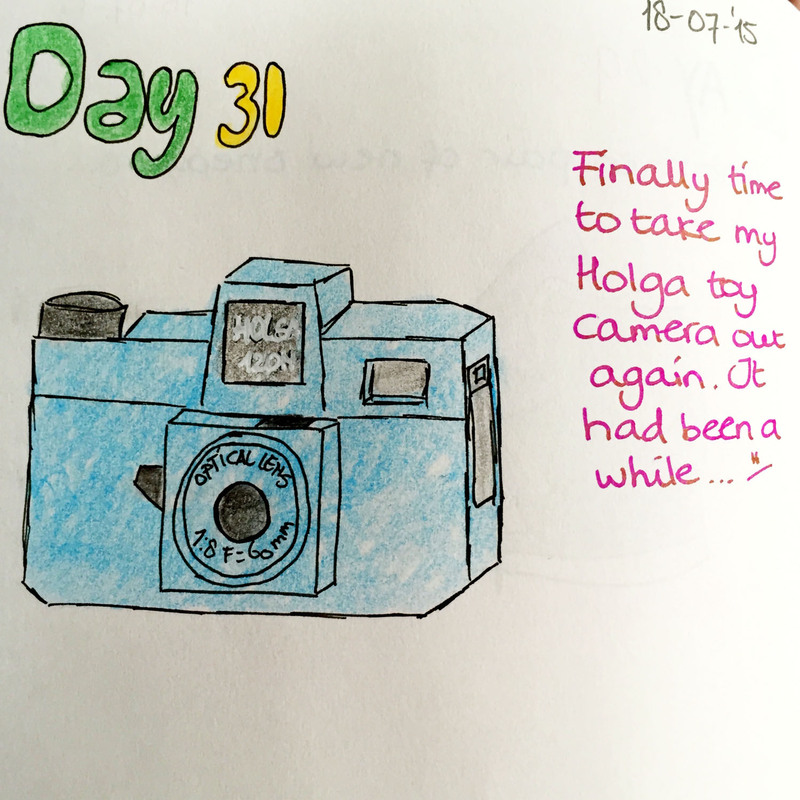 On day 31 I drew my Holga, one of my favourite cameras. I’ve been out of the photography game for a while, due to lack of inspiration, but that day I took it out for a spin again. It made me very happy to use this little piece of plastic!